Tigers are the largest cat species in the world and they can reach a full body length of 3.3 metres and weigh approximately 260 kgs. It also has the longest canines amongst its species. Their popularity stretches across Asian countries such as India, Indonesia and Bangladesh. They are carnivores, meaning they eat meat and they are excellent hunters as well. Tigers are easily recognised with their red-orange fur with striking black stripes which are unique and helps zoologists to distinguish which is which. Tigresses(Female tigers) are usually smaller than male. They can have up to four cups. There are different types of Tigers, mostly named after their country of origin. 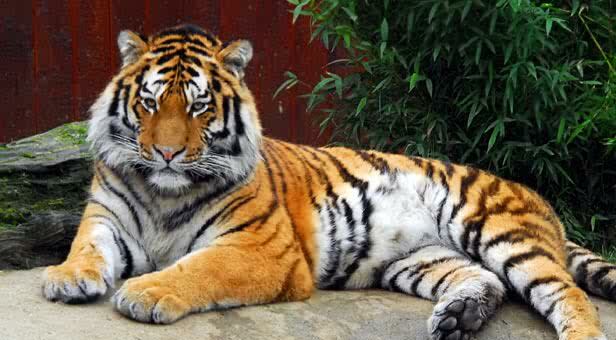 Like Sumatran Tigers which originates and only found in the Sumatran Island in Indonesia. It is one of the endangered species. Other types are the South China Tiger, Siberian Tiger, the beautiful Malayan Tiger, Bengal Tiger and White Tiger(which is white instead of the red-orange colour). But there are extinct subspecies, such as the Bali Tiger, Caspian Tiger and Javan Tiger. Most of the were poached and none of them were in captivity. Tigers are strong and very powerful carnivores and they are very territorial. They normally urinate or scratch a bulk of a tree to give to let intruders know that the habitat has already been taken. In research, there has been hybrids which is a term used when same species of the different kind mate and produce rare offspring. So far, we know of a Tigon and Liger. But mostly were done in zoos by expects. A Liger is an offspring between a Male lion and a Tigress. It can grow bigger than either of its parent, because of its genes and a Tigon(which is less common) is an offspring of a male Tiger and a Lioness. The practice of these hybrids was put to stop as it decreased the subspecies of tigers. From → Did you know?